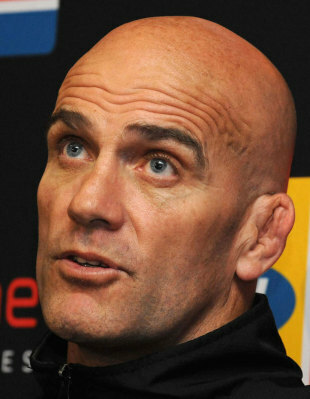 Sale Sharks have announced that interim boss John Mitchell has left the club and returned to South Africa for personal reasons. The 48-year-old former All Blacks coach, who only joined the Premiership basement side from the Johannesburg-based Lions last month, had been expected to continue to work as a consultant until at least the end of the season with a more permanent position rumoured to be in the pipeline but he has opted to bring a premature end to the arrangement. Mitchell has made a headline-grabbing impact during his short stint with a club he previously served as both a player and a coach and leaves them in the wake of just their second league victory of the season that was secured against Worcester on Friday night. The result leaves them just a point adrift of fellow strugglers London Irish at the foot of the table but their fight to avoid the drop is now set to be led by chief executive Steve Diamond and coaches Bryan Redpath and Pete Anglesea. Club owner Brian Kennedy commented, "John was brought in on a consultancy basis with a view to the possibility of being employed in a longer term position within Sale Sharks. He has had to return to South Africa for personal reasons which we respect. "We are grateful for his valuable and insightful contributions albeit for a shorter term than envisaged. Steve Diamond, Bryan Redpath and Pete Anglesea will continue to coach the side, implementing many of John's ideas, and building on last night's excellent performance." News of Mitchell's earlier-than-expected departure will come as a significant blow to a club that has struggled all season despite the signing of the likes of Scotland international lock Richie Gray and former England fly-half Danny Cipriani in the off-season. A woeful run of results at the start of the season saw Redpath, who had joined the Sharks from Gloucester during the latter stages of last season, removed from the position of director of rugby and shifted to that of head coach at the end of October. As a result Diamond took over the running of first-team affairs before Mitchell, who had previously been named as part of the club's new rugby strategy management board, arrived to effectively take over the director of rugby position. Under Mitchell, who left the Golden Lions to join Sale after being cleared of misconduct charges by the South African club, the Sharks had shown signs of improvement but now appear to have it all to do having been stripped of his services.